ANSI/ASHRAE 103-2017: Method of Testing for Annual Fuel Utilization Efficiency of Residential Central Furnaces and Boilers has been released, revising the 2007 version of the same standard. Most homes in the United States are heated with either furnaces, systems that heat air and distribute it throughout the house, or boilers, appliances with similar space-heating applications that heat water for the supply of low-pressure steam or hot water. For furnaces and boilers alike, efficiency is a prime interest, as it ultimately affects energy costs, comfort, and an assortment of other factors associated with reliability for the user. A central furnace or boiler’s efficiency is measured by annual fuel utilization efficiency (AFUE). AFUE is understood as the ratio of annual output energy to annual input energy. This includes any non-heating-season pilot input loss and, for gas- or oil-fired furnaces or boilers, does not include electric energy. The Federal Trade Commission requires boilers to display their AFUE so consumers are able to compare heating efficiencies of various models. Furthermore, test procedures for rating furnaces and boilers are defined in United States Department of Energy (DOE) codes, with which the provisions of the 1993 version of the ASHRAE 103 standard for AFUE testing of furnaces and boilers standard was aligned. This same harmonization holds true today, except that ANSI/ASHRAE 103-2017 adopts its contemporary companions. 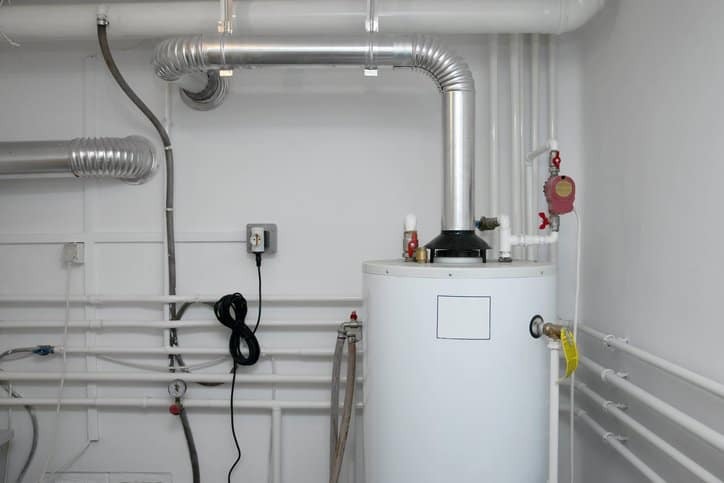 The ANSI/ASHRAE 103-2017 standard has a clear purpose: to provide procedures for determining the annual fuel utilization efficiency of residential furnaces and boilers. In facilitating the determination of AFUE for residential central furnaces and boilers, the standard includes a test method for cyclic and part-load performance, methods for interpolating and extrapolating test data, and calculation procedures for establishing seasonal performance. An extensive standard document, ANSI/ASHRAE 103-2017 confronts these main concepts scrupulously, including figures for visualizing the suggested arrangement, setup, and instrumentation for different components and systems in or connected to boilers and furnaces. ANSI/ASHRAE 103-2017 is applicable to central furnaces with inputs less than 225,000 Btu/h (65.92 kW) and boilers with inputs less than 300,000 Btu/h (87.90 kW). These appliances should have gas, oil, or electric input, and are intended for use in residential applications. The standard also applies to furnaces with inputs less than 225,000 Btu/h (65.92 kW) contained within the same cabinet with central air conditioners that have rated cooling capacities of 65,000 Btu/h (19.04 kW) or less. In addition, in keeping with the adherence to DOE codes first cemented in the 1993 edition of the standard, ANSI/ASHRAE 103-2017 adopts the 2013 DOE change to the procedure section allowing for the optional procedures for condensing equipment to be extended to two-stage modulating controls. ANSI/ASHRAE 103-2017: Method of Testing for Annual Fuel Utilization Efficiency of Residential Central Furnaces and Boilers is available on the ANSI Webstore. this is superb article for everyone thanks for sharing.